I'm not really a 'dessert person', I don't make dessert very often. I leave that to my friends Pam & Sue, they're the bakers. But I made this flan the other night, the night we had Chile Verde. 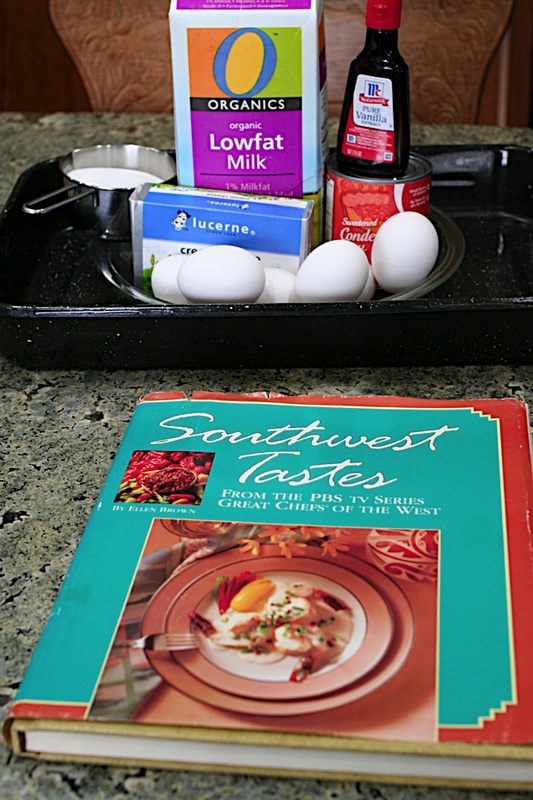 I got the recipe from Southwest Tastes, a cookbook I bought a long time ago, after seeing the PBS series. So, I'm going to show you how to make it (and what NOT to do), without really giving you the exact recipe (because that would be copyright infringement, right?). 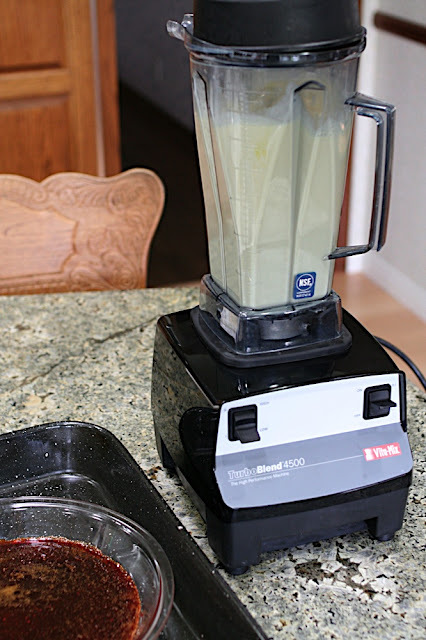 There are a lot of good recipes online, all you need to see is that it's not that difficult to do. Here's the book, you can see it's tattered. There are some good recipes in there. You can probably find it used on Amazon for pennies, or email me and I'll share. Start by getting your pans ready. You'll need a flan pan, and a larger roasting pan that the flan will sit in for it's hot water bath in the oven. I just use a glass pie pan & the roaster I use when I cook turkey. Start by melting 3/4 cup sugar in a pan over medium heat. Be patient, the sugar will start to melt. DON'T do this. Don't stir it too soon. It will become hard and clumpy. And DON'T use a spoon. Use a wire whisk. But this just goes to show you that you can make a mistake and your dessert can still come out okay. You're SUPPOSED to let the sugar melt. Stir it or swirl it when it liquifies. It's done when it turns a dark, rich, color. Then you pour it into a pie or flan pan, swirling it--by holding the edges--until the bottom is covered with the sugar mixture. 1 3/4 cup milk, 3 eggs, 3 egg yolks & 1 can sweetened condensed milk. 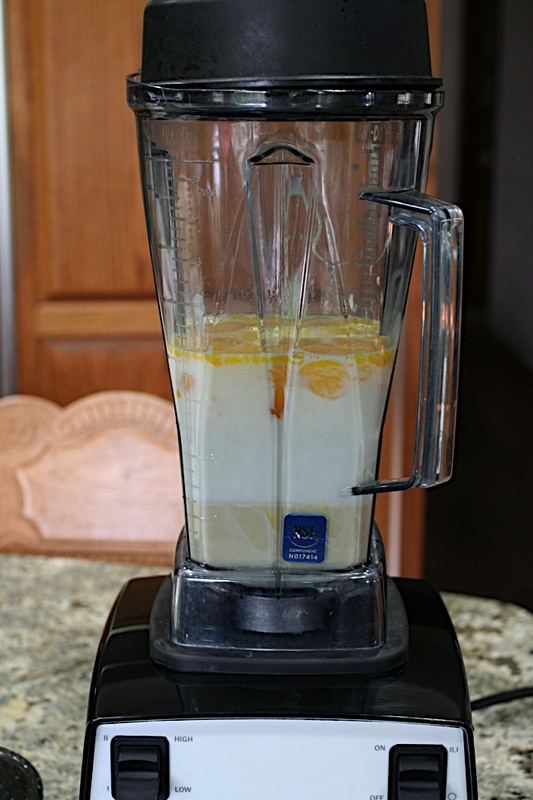 Blend several minutes, so that ingredients are well combined. Set your flan pan with the caramelized sugar on the bottom, in a roasting pan, in the oven. Pour the mixture into the flan pan. Then you're going to pour boiling water from your tea kettle, into the roasting pan to give your flan a hot water bath while it's baking. It's going to bake for an hour and ten minutes. Test by inserting a knife, when it comes out clean, it's done. Cool, and refrigerate until ready to eat. To plate it, cut around the edges of the flan pan. Place your platter on top, then invert. The flan will drop right out. Garnish with mint or fresh fruit. It's not difficult to make! Every time I make this recipe (and it's most likely about once a year) I think about finding another recipe that uses all fresh ingredients. If you have a good flan recipe, please send it my way. BUT, this flan is still good. I just had a piece and it is yummy!